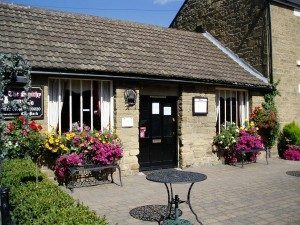 Ponteland was a small typical Northumbrian village before the First World War. There were farms and farmers, blacksmiths, carriers, saddlers and other trades associated with the rural economy. Livestock of every kind abounded and two coaching inns were in their last days. The population lived where they worked. The turnpike road to Scotland was hard-surfaced and motor cars appeared. The City of Newcastle, only 8 miles away, was an industrial hub where the workers lived in rows of terraced houses and coal-based industries produced constant smoke and dirt. The Northern Allotment Society was founded to give people the chance to buy plots of land out of town and grow vegetables and flowers for the markets. It was a novel idea to own land and to grow crops on it and the man who made it work was Joseph Wakinshaw. A number of small schemes met with success and when two farms came up for auction in 1907, the Darras Hall Farm and the Little Callerton with Callerton Moor, a total of over a 1000 acres, there was enough support for the NAS to buy both lots for short of £60,000. Careful planning went into the infrastructure of the Darras Hall Estate and the Trust Deed laid down standards still maintained today. The Estate boundaries are fixed and houses have a minimum plot size. Many market gardens flourished and houses were built, very few at first. A railway came and went and it was only after the Second World War that new housing eventually took off and by the end of the century some houses were being demolished to make way for modern buildings and mansions. One of the first houses built still has a stable, but in a dilapidated condition! Some ribbon development, of the kind now frowned on, occurred along the North Road, the West Road and Cheviot View on the Newcastle Road, mainly between the wars. Social housing, originally called council housing, was built in the 1950s in fields behind the Blackbird. The Ladywell estate at the west end of the village was built in the early 1960s. Small infill estates have been built since 1980. The Eland Haugh estate behind the golf club was built on the flood plain. Would permission be granted today? Fairney Edge extended Mayfair Gardens up to the burn of that name, and most recently the old mart field became The Lairage. The next big project will be housing on the Police HQ site out at Smallburn. 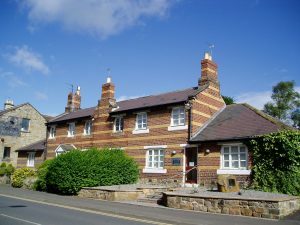 The original buildings were erected in 1903 as Cottage Homes for workhouse children from Newcastle, when they closed; it was used as a Teacher Training College before finally ending up with the Police. 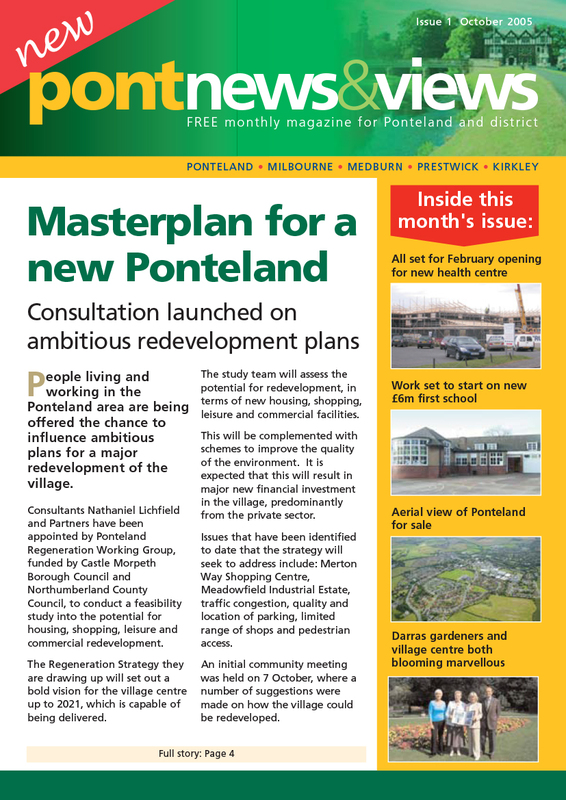 Ponteland is unique settlement, neither village nor town, and there is no comparable place anywhere in the country! It is an aspirational, desirable place to live and most residents work in Newcastle, easily reached with good transport links. But, without the Green Belt it could end up as just another outer suburb of Newcastle and the residents choose to live in Ponteland and Darras Hall because of its village feel and the accessibility of the surrounding countryside.